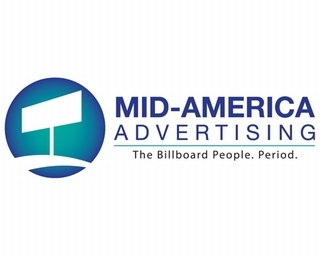 Mid-America Advertising is an Illinois corporation specializing in billboard advertising. All of our sites are steel monopoles and average 20,000 cars per day. We now have over 800 faces in Illinois, Missouri, Iowa and Kentucky. 5- Guarantee to have your billboard vinyl installed within 5 working days of recipt of vinyl. 5- All vegetation cleared within 5 working days of notification. 2- Guarantee to have any lighting issues fixed within 2 days of notification. Please call 217-585-8110 for any maps, locations and proposals.